Would you like a list of the 10 Best Real Estate Buys in Utah County? Join our "Early Bird Club" and put in the remarks "10 Best Buys in Utah County." We will email you a list of the 10 best buys in Utah County within the parameter in which you are searching. Some of the best buys are found in residential homes, condos, townhomes, twin homes, short sales, bank foreclosures, HUD homes, fannie mae and freddie mac foreclosures. Search the entire market and you will find an undiscovered treasure. 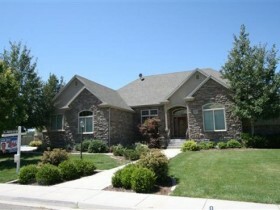 Team Teasdale Realty will help you find the 10 Best Real Estate Buys in Utah County. With home prices falling in Utah County, it's a buyer's market out there. Homes have been falling. Review the latest Utah County Real Estate Market Statistics to see the current direction of the market. How do you find a great deal on a home in this real estate market? Watch for Prices Dropping on Homes in Utah County! If the price drops once, it's likely to drop again. Keep an eye out for a pattern of dropping prices. Once there is blood in the water, sharks can keep feeding. That being said, you can't ask a seller who has just lowered his or her price by $20,000 yesterday to drop it again today. But if they drop the price once, they're predisposed to drop it again. If you look at our Utah County Real Estate Search you will see a link called "Price Changes." It is good to keep an eye on this search criteria. In the real estate market right now there's a heaven and there's a very large hell. Heaven is that small part of the market that sells very quickly. If you own a fixer-upper, you're in real estate hell because those houses just aren't selling very good right now. Buyers are scared of anything that doesn't look good. People who are selling fixer-uppers are more concerned about unloading the property than trying to make a big profit. Banks will drastically drop the price on a fixer-upper because they don't have the time or money to fix up the home. If you have skills these homes can be a nice bargain. Have you seen our Utah County Bank Foreclosure List? This list is updated daily from the Utah County MLS. It has all the Bank Foreclosures on it. If you check the "Change Search" then click the "Short Sale Button" you can see all the Utah County Short Sales for sale. In my opinion this is the best search engine for finding bank foreclosures and short sales in Utah County. Someone who bought their home 20 years ago for $200,000 and is now selling for $350,000 is going to make $150,000, so it doesn't make much of a difference for them if they accept a bid $10,000 or $20,000 below their asking price. People who have a lot of equity have more room to negotiate than someone who's barely breaking even. 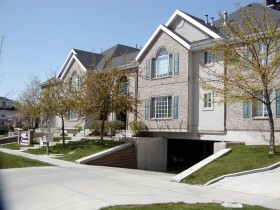 Many sellers in Utah County are at a break even point and just can't go down on their price. You used to have to ask your real estate agent for information regarding how long a house has been on the market. You can still ask, but now you can also find all this information on the Internet, by actively searching UtahCountyListings.com. Our search criteria shows how long a home has been listed. If someone's trying to sell a house and it's been on the market that long, they're starting to get really worried.